Excited to see how Eastwood follows up his late-career highlight, Sully. Another cool and subtle treatise on the nature of heroism from this American master. Might take a leap of faith to want to grapple with what the film is saying and doing. As an extremely pithy (and moving) contextual titbit at the top end of Jaume Collet-Serra’s The Commuter, we see an entire life of banal conformity compacted into a majestic, elliptical overture. With each cut, time slides through a black hole, and it’s sad because it infers that happiness is only possible when cosy routine is strictly maintained. Random happenstance and unnecessary drama only bring tears. Cue a big ol’ ruckus on a suburban passenger train and Liam Neeson cracking a bunch of skulls. This new film by Clint Eastwood is based on a real event in which a trio of backpacking American bros, two of whom were in the military, foiled a potentially gnarly (and then some) terrorist bullet rampage on a Thalys train travelling from Amsterdam to Paris in the summer of 2015. The episode itself plays as a short, violent epilogue which is portentously teased throughout the film. The majority of the drama focuses on the crushing disappointment of professional stasis, the mundanity of middle youth and the drab, almost seedy realities of modern warfare. Unlike Neeson in the The Commuter, the banality offers no comfort to these men – it makes them itchy and reckless, especially as they begin to suspect their appetite for destruction will never be sated. The film’s central character, Spencer Stone (playing himself), grows up in a strict Christian household and has a poster of Stanley Kubrick’s Full Metal Jacket adorning his bedroom wall. This vision of remorseless military discipline and abject (albeit character-building) humiliation he’s been weened on is quickly revealed to be a sham, and it seems to colour his awkward journey through Air Force basic training. 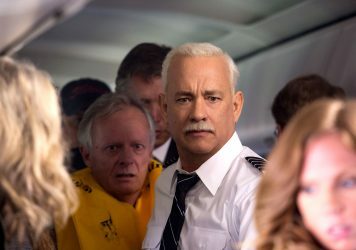 In terms of broad themes, this is very much of a piece with Eastwood’s previous feature, Sully, in that it deals sensitively and philosophically with the attendant traumas of heroism. In Sully, the “miracle on the Hudson” instantly offers the everyman pilot a sobering reminder that life hangs by a soft, silken thread. In The 15:17 to Paris, we see a generation of aspirant Sullys all champing at the bit to make some valuable contribution to society (saving lives) and feeling like they’re finally being catapulted towards their own magnificent destiny. The characters all sincerely believe that the meaning of life will soon be revealed to them, and this is an idea they awkwardly revert to in moments of quiet contemplation. These numerous declarations could be read as blunt-force movie dialogue signposting, or perhaps a genuine encapsulation of how these men are able to make it through their long, dull days. In one strange sequence, Alek Skarlatos (playing himself) is dropped off at an airport en route to a tour of duty in Afghanistan, and his mother, in a flash of mad-eyed fervour, claims that God has shown her his path and that he is bound for glory. He cheerfully accepts her words, yet they resonate throughout a film about people living with a constant drive towards some divine purpose. Later, during a live shooter alert on the Air Force campus, Stone impulsively choses to flout the protocol of cowering under a table. Armed only with a ballpoint pen, he readies himself to take down the assailant. As with a film like American Sniper, about the tragic life of Navy SEAL Chris Kyle, this is when Eastwood carefully distances himself from the story’s political undercurrents. Stone’s desire for heroism has taken on absurd, dangerous dimensions. It’s evolved from wholesome dream to antisocial compulsion. His cat-like readiness for instant self sacrifice depicts a darker, more destructive side to the drug of being elevated to the status of Christ-like saviour. 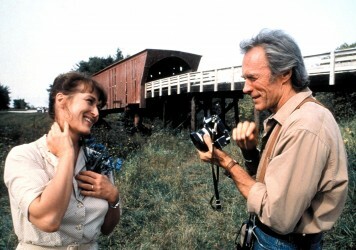 Perhaps the most beautiful aspect of this rich and radical blue-collar opus is the manner in which Eastwood delivers an unshowy and rather humble celebration of the habits, motivations and desires of these simple men. There’s a nearly 30-minute sequence in the middle of the film in which Stone and his childhood playmate, Anthony Sadler (again, playing himself), decide to go interrailing through Europe. They dart through an itinerary of tourist monuments, immortalising each step with quick selfie, each time flashing the same insincere smile. They don’t really have anything deep to say to one another, or any real human connection. They only about where they’ll go next – the future is their sole interest. It’s hard to think of a more unaffected, honest and existentially poignant depiction of holidaying youth outside of the films of French maestro Eric Rohmer. The choice to have the three leads play themselves and, in essence, relive this ordeal for the multiplex masses, lends the film an edge of playful experimentation. While a work like Paul Greengrass’ United 93 dangerously runs with poetic licence to visualise a tragedy without the input of living witnesses, here these men are essentially in control of what we see and how we see it. Stone’s performance in particular boasts a purity and simplify that’s missing from a lot of screen acting. His modest reaction to a bowl of gelato while in Venice is particularly touching in its casual offhandedness. It actually makes the conventional acting in the film feel a little out of place, making you wonder why Eastwood stopped at casting the real leads. But the question of whether Eastwood cast the men to challenge the veracity of screen acting, to make a statement on the subtle divisions between fiction and reality, or just as a sentimental gesture to gift these heroes the ultimate money-can’t-buy accolade (a movie about their exploits) is a tantalising question which hangs over this fascinating, multidimensional work. The burst of climatic violence penetrates hard and deep, and as the men receive the Legion of Honour from then-President of François Hollande, their faces seem to say one thing: is that me done? A beardy Bradley Cooper proves his mettle in this true story about the most lethal sniper in US military history. A comprehensive rundown of veteran screen icon’s formidable work behind the lens. Clint Eastwood is on stunning form as he depicts the ‘miracle on the Hudson’ with the help of Tom Hanks.